A mammoth collection featuring 148 of your all-time folk favorites!Titles: Alouette • Camptown Races • Danny Boy • Greensleeves • Guantanamera • Hava Nagila • Home on the Range • The Red River Valley • Shenandoah • Skip to My Lou • This Little Light of Mine • Yankee Doodle • and many more. 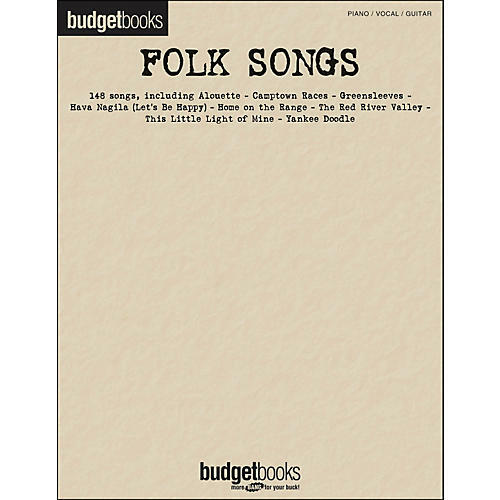 A mammoth collection featuring 148 of your all-time folk favorites! Titles: Alouette • Camptown Races • Danny Boy • Greensleeves • Guantanamera • Hava Nagila • Home on the Range • The Red River Valley • Shenandoah • Skip to My Lou • This Little Light of Mine • Yankee Doodle • and many more.